Obama refuses to admit the obvious simply because of the upcoming mid-term elections. His liberal base would defect en masse from Democratic candidates all across the country if he actually told the truth. Then again, this is the same president who has constantly lied to those in the country illegally about giving them amnesty by executive fiat. He has now promised to do it after the elections in November. Remember, one of the main tenants of liberalism is “intent.” Obama will argue that he didn’t “intend” to put boots on the ground, but circumstances on the ground changed. He “intended” to give illegals amnesty, but if Republicans take over the senate, he can’t. As a U.S. Senator and a candidate for president in 2008, Obama was a very harsh critic of Bush’s war in Iraq. Yet, in six years as president, he has continued the Bush doctrine in foreign policy (attempting to spread “democracy” around the world). Many Democrats called for Bush to be tried as a murderer and a war criminal. So what does that make Obama? This administration thinks that everyone is “entitled” to be in the U.S., whether they entered legally or not. They are providing five-star accommodations for illegals, while American citizens are increasingly homeless, more likely to be unemployed, and less educated. In essence, Obama and his administration actually think he was elected to be president of the world. They think they and we Americans should be willing to sacrifice our own standard of living to provide relief to those around the world who are less fortunate than us. Not even Jimmy Carter displayed this level of arrogance and disdain toward his own country and its people. We are not responsible for the problems of the world. How do you justify allowing illegals into the country under the guise that “they are just looking for a better life in America” when Americans are looking for the same thing – in their own country? In the 1980s, Cuba unlocked its jails and dumped the worst of their worst into the U.S., which led to the drug cartels wreaking havoc in Miami. Now we are allowing the most unskilled illegals to enter into our country from Central America and wreak havoc on the inner cities as well as the suburbs. As president of the world, Obama really believes that we should have no borders, even if it jeopardizes our national security. Our intelligence community has already publicly and privately admitted that terrorist from the Middle East have already entered into the U.S. from Mexico. Obama really thinks the sheer strength of his magnetic personality will get Iran to give up its nuclear program, get Putin to return U.S. traitor Edward Snowden to the U.S. and cause Bashar al-Assad to leave the presidency of Syria. Raynard Jackson is president & CEO of Raynard Jackson & Associates, LLC., a Washington, D.C.-based public relations/government affairs firm. 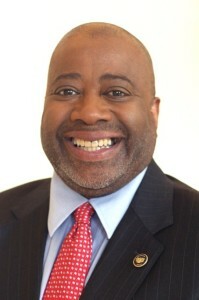 He can be reached through his Web site, http://www.raynardjackson.com. You can also follow him on Twitter @raynard1223. Good article Jackson…in my opinion your analysis was accurate, fair and consistent with our president’s performance/record to date. And please ignore disparaging comments directed at you or you work, from the anonymity of cyberspace. I always thought that the prevalent theory held that all of the weak black men died during the middle-passage. No weak black men around here…confused maybe, but not weak. In any caase, lots of readers value your opinion and hold your POV in the highest esteem. Looking forward to your next article. God Bless. Of course, Obama is weak just like the average Black American man! Hey Buddy!, I found this information for you: "Critics Were Right About Obama’s Incompetence". Here is the website link: https://blackmeninamerica.com/critics-were-right-about-obamas-incompetence/. Thank you.